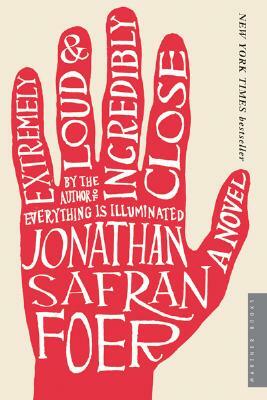 Banned Books Week is barely over, but book challenges continue around the country! 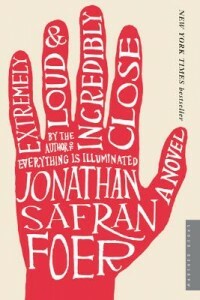 Today we got word that Jonathan Safran Foer’s Extremely Loud and Incredibly Close was pulled from a high school English class in Mattoon, Illinois before students could finish it, while parents in Rumson, New Jersey are petitioning the local school board to remove Ariel Dorfman’s play Death and the Maiden and Bernard MacLaverty’s novel Cal from the curriculum there. One of the most important lessons the advisor of this paper teaches her students is to fight for what’s right. She’s teaching her students what it means to be great journalists at this level, and though it will be a learning experience, it shouldn’t have to be. Students should have the right to learn about why they aren’t allowed to learn. Although the online petition is attributed to “Concerned Parents and Students 2015-2016,” local newspaper The Two River Times reports that the effort is in fact led by Siobhan Fallon Hogan, the mother of a freshman and a senior at the high school. The petition was closed on September 24 with only 222 signatures and the claim that it had “achieved [its] goal,” but it seems more likely that organizers quickly realized the drawbacks of online petitions which can be signed by anyone and become targets for trolls. A counter-petition established on September 23 is still open with 837 signatures, but is also larded with troll comments and fake names. Instead of the online petition route, Hogan and other parents who have concerns about reading assignments will now do what they should have done to begin with: bring their complaints before the school board where all local stakeholders will have a chance for input. The Asbury Park Press reports that the issue will be addressed at a school board meeting next Tuesday, October 13. Rumson-Fair Haven school district policies do not seem to be available online for public perusal. CBLDF and its partners will be watching these stories for further developments in the coming weeks. Stay tuned for updates!